1. Ardalanish (ML33) Used to explain further the effect of the sun's movement and the range arising. 2. Ardnacross (ML12) An important site as it gives a double alignment for the winter solstice by 'halving the difference'. 3. Gruline (ML16) Also has two alignments from the same observing position. One for the summer solstice, again by 'halving the difference'. The other for the Epochs before/after the solstice. 4. Tenga (ML13) Four stones on a moor. They give three solar alignments and one lunar alignment. 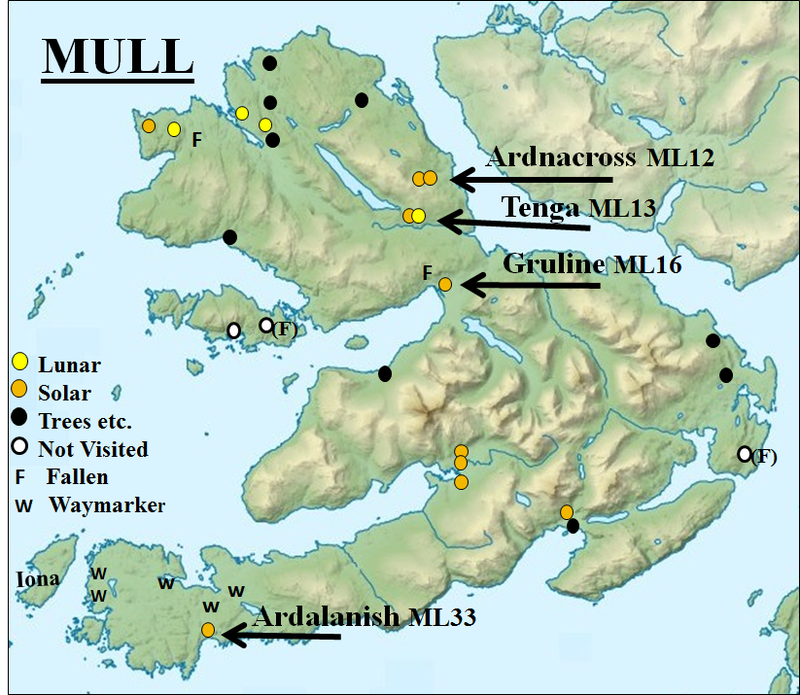 Map showing all of the standing stone sites on Mull. 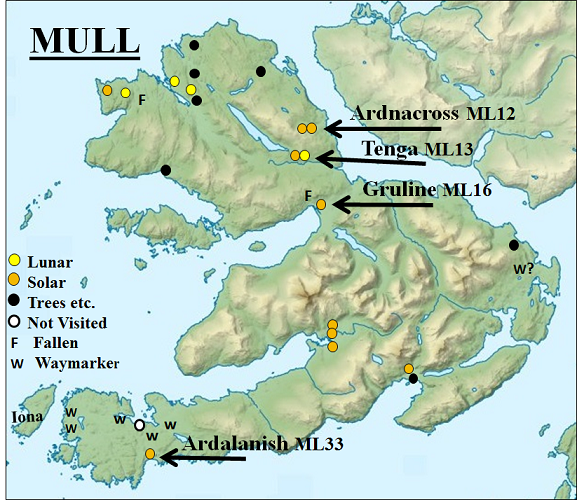 The above four sites are indicated.